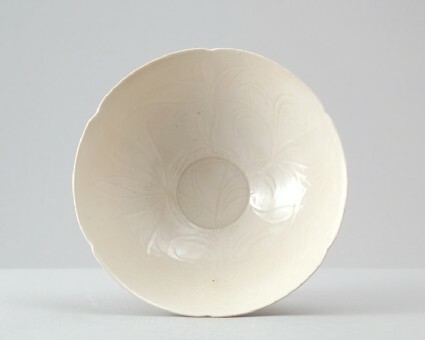 The conical bowl has slightly convex sides with six thin engraved radiating indents on the outside, the rim cut into faintly lobed shape to match, and the distinct flat centre impressed by a mould after the engraving had been done. 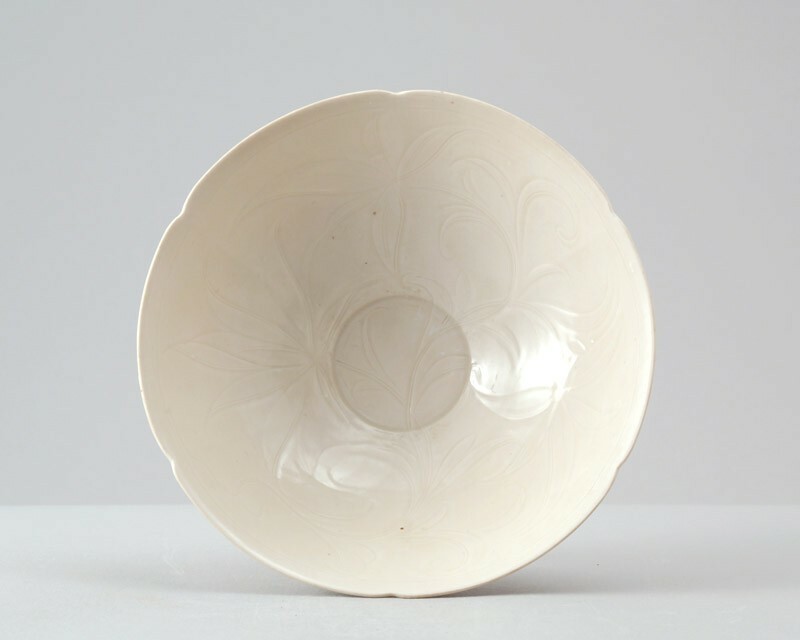 The inside is incised with a lotus spray with two blooms, stylized leaves and an arrow-head plant, all finely executed in single and double outlines, with a thin line inside outlining the rim. The near-white body is covered with a cream-coloured transparent glaze which runs down in darker yellow-tinged streaks on the outside, fully covers foot and base, but leaves the rim free.